It’s been ages since I’ve done a Mixels trio review, so I decided to grab a set of three. Series 4 has some pretty nice ones, with the Orbitrons and the Infernites joining the Glowkies. I couldn’t get a whole set of the Orbitrons or Infernites in one hit, so I decided to go with the Glowkies, and I was glad I did. There are some very nice elements included. They all have glow in the dark elements (hence the name), and are loosely based on bugs or bats from what I can tell. Because this is three individual bagged sets instead of a box, so no out of the box images this time! They are very simple, with a small instruction booklet and the parts in the bag. The Glowkies are all about the glow in the dark parts, and dark blue. These are a very nice addition to my growing collection. 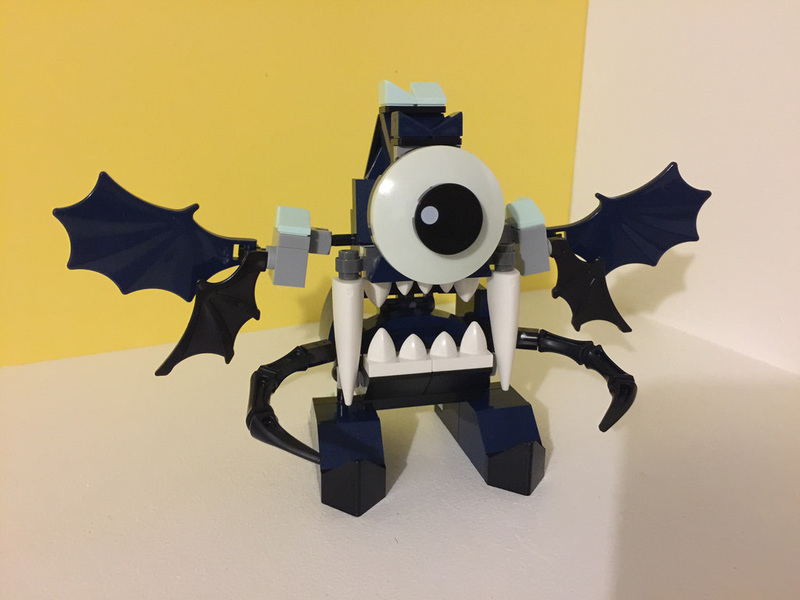 Globert brings three new parts to the range – the black round printed tile and the glow dish that make up his eye, and the little dragon wings in dark blue. Vampos has a few nice additions too, including the glowing eyes, the wings, the big teeth, and the double handled 1×2 plate. Lastly, we have Boogly. The glowing single eyed miniifigure head is great. I can see it appearing in some MOCs in the near future! 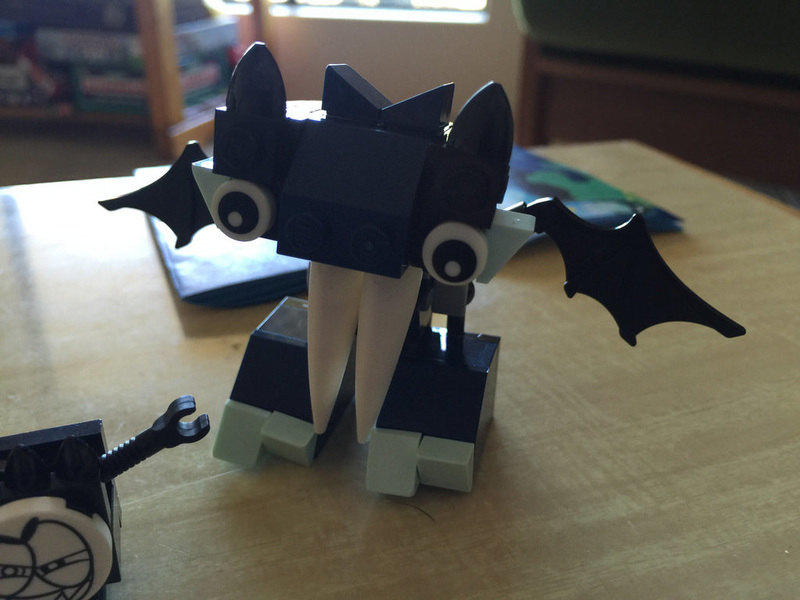 The two black legs are also great, as well as the little fang teeth. While these are far from new, it’s the first time I’ve seen them. 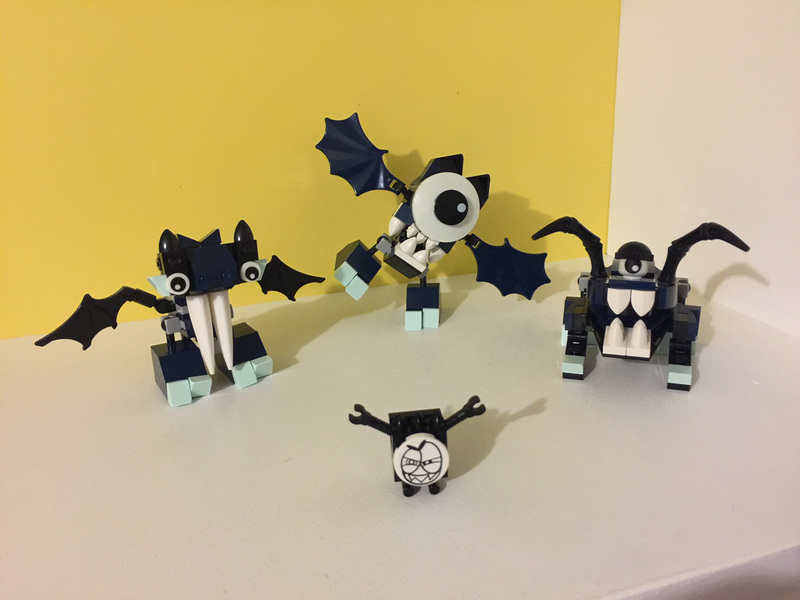 As is normal with Mixels, there are a plethora of ball and cup joints to keep us all busy! I quite like Globert. 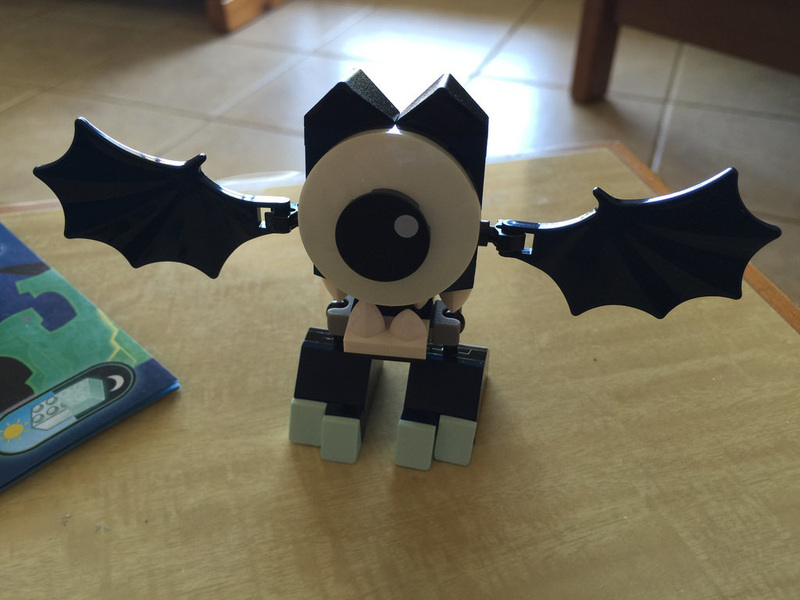 His big eye and little wings are a nice feature. The jaw is a little strange. He doesn’t quite stand straight, but the balance is great. He’s more than happy to stand on one leg. The dish for his eye is very snug against the round plate. You’ll need a technic axle to get them separated. The mighty brick separator is useless in this instance! Vampos is my favourite of the three. He’s got loads of character, with those tiny wings, big feet and massive teeth! It’s a simple build, but has lots of great looking features. His glow in the dark eyes are a great feature too. 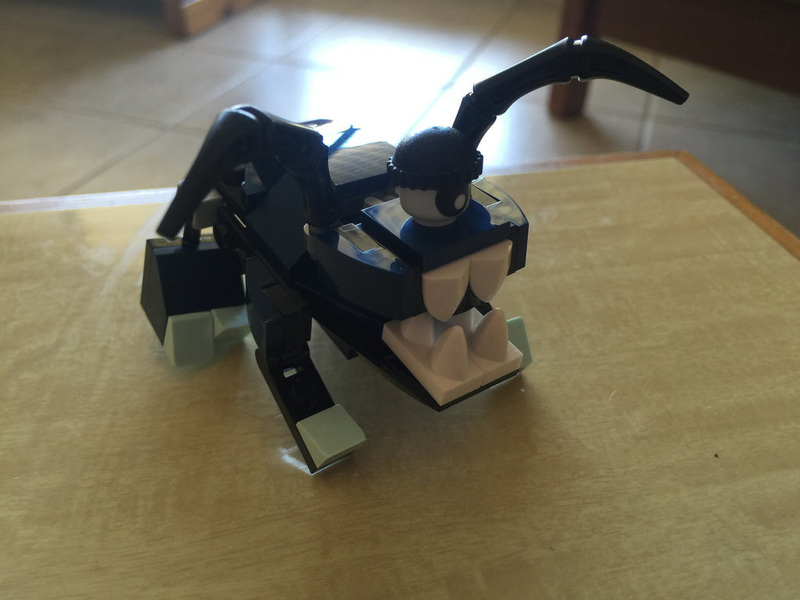 Vampos also gets the Nixel too (the sworn enemy of the Mixels). He’s a new design, and he looks great with his tiny feet and big long arms! I’m a big fan of him, even though he’s the tiniest addition. Boogly looks a little weird, but he’s a Mixel, so I guess it’s ok. The eye is great, as well as the teeth, but he doesn’t have the opportunity to move around all that much, as his front feet are limited in movement. His top jaw is a little odd. Instead of a straight up and down action, it can rotate slightly as well. I’m not sure whether I like this or not. ​The Mixels are always a simple lot to build, but come with some nice parts. 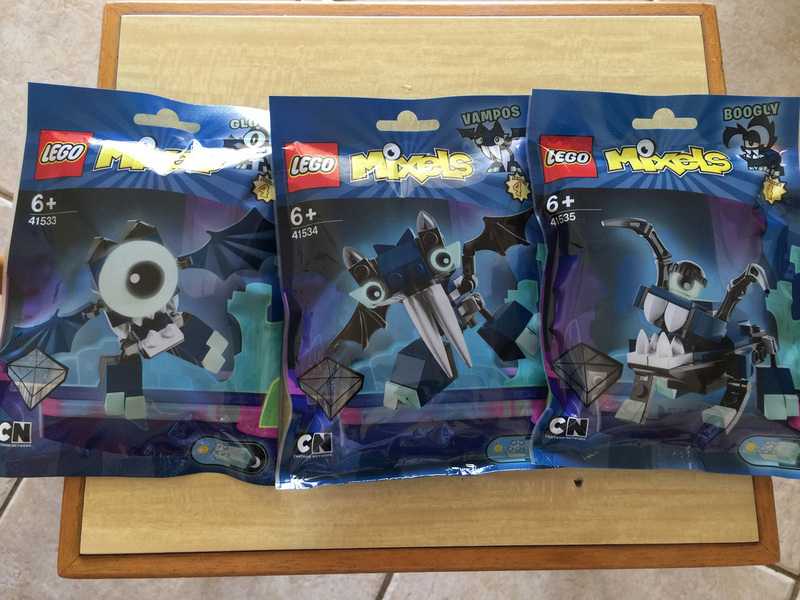 They have limited playability, but the feature of the Max version is a great idea from LEGO. That and you can mix them up as much as you like means kids love them (and some adults do too.) This bunch gets 7 out of 10 big fangs. Next on the review list is 60088: Fire Starter Set. Time for a little one. What are your thoughts on the Glowkies? I’d love to hear from you! Don’t forget to like BricktasticBlog on Facebook and follow along on Instagram.